In this contemporary era, many students are using the presence of technological advancements to their advantage by pursuing online degrees. This includes students who are preparing to pursue careers in the field of psychology. If you are thinking about attaining an online degree in order to work within this sector, you may be wondering what the future job outlook is for careers with an online degree in psychology. By reading the information listed below, you can obtain an answer to this question and several others that pertain to the field of psychology. Although broadly defined, psychology is basically an applied and academic sector that involves studying both the human mind and the behaviors that result from its activities. 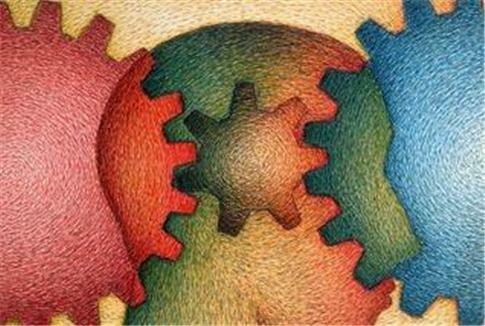 Generally, research in psychology is geared towards understanding how people think, feel and act. Much of the field of psychology is devoted to diagnosing and treating individuals who struggle with mental health issues, yet this sector is also concerned with various other sectors of life, including self-help, motivation, ergonomics, productivity, and performance enhancement. In recognizing that employers still view online degrees with a great deal of skepticism, individuals who obtain an online degree in psychology may think that their job prospects are a bit more dim than those who earn their degrees in a traditional classroom setting. It has been stated that the acceptance of online degrees is contingent upon several factors, including the industry, type of degree, hiring company, degree-granting institution, and the personal preferences and proclivities of the interviewer. Because each of these factors is at play when an online graduate applies for a job within the field of psychology, it is difficult to state whether the fact that the applicant earned the degree online will have an adverse effect on that candidate’s ability to obtain a position. Since this is the case, individuals who want to know about the future job outlook for those who obtain an online degree in psychology should simply review statistics about the subject. According to the Bureau of Labor Statistics, employment for psychologists is expected to grow about 12% between the years of 2012 and 2022, which is about as fast as average for all vocations. The Bureau also reports that the job outlook for counselors is expected to grow 12% from 2012 to 2012. These types of job outlook statistics can be obtained for a plethora of positions within the psychology sector. If you are thinking about pursuing a career in the field of psychology, you should know that doing so can be advantageous. At the same time, you should also recognize that some employers still view online degrees with a substantive amount of skepticism, and this factor may affect your likelihood of attaining a position with a company. In considering this information, you can determine whether earning an online degree in psychology would be appropriate and advantageous for you.